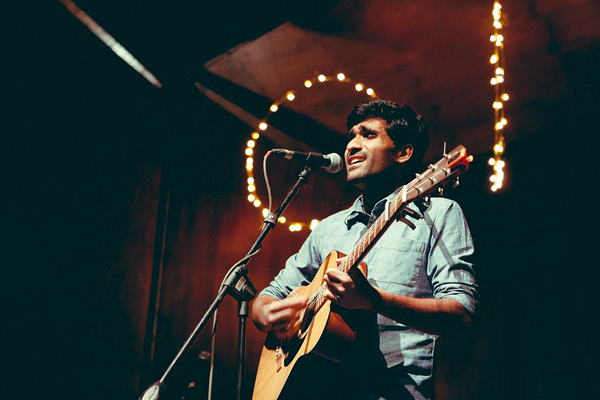 MUMBAI : Singer, songwriter Prateek Kuhad, who will be doing house gigs to promote his latest album EP cold /mess next month, says he prefers performing for a small group of people rather than for thousands of people at a large venue. The singer rose to fame with the song Kho gaye from the movie Baar Baar Dekho, released EP cold/mess earlier this month as part of Saavn's Artist Originals. Kuhad chose to launch the album in an unconventional way by keeping it fan-centric, and with house gigs across India, he is attempting something new. Kuhad told IANS in an email interview: I was quite keen on house gigs actually because that's my favourite way to perform shows. I would much rather play for an intimate set to 20 people in a room than to a thousand people in a large venue with a complicated sound setup. Sometimes it's nice to keep things simple. The songs in his album tell a story in itself, and he calls it his most genuine work. However, he didn't reveal the real story behind the lyrics, even though each song is fused to convey a very specific and personal emotion. Kuhad said, "So far it is possibly the most honest bit of song writing I have done. I think they are quite self-explanatory and also a little too personal for me to spell it out just like that." On his experience, Kuhad said, "Experientially, it was mostly the same I feel as writing songs in general. The only difference is I had a bit of a pitch. I read through the script a couple of times to understand the vibe and characters properly. Akarsh Khurana, the director, explained to me the situations and what he was trying to go for." The Tum jab paas singer said, When someone reaches out to me to write for a project and if I feel like I can do justice to that project, I will do it. I enjoy writing songs which is why I do this. It's irrelevant where the said project is coming from. I guess small things, said the singer, who feels while there are days of self-doubt, having a supportive family and friends helps. MUMBAI: He has screaming fans at shows who sing along with him whenever he hits the stage with his guitar. MUMBAI: Singer and composer Jasleen Royal, who recently came into limelight for her song, Tu Jahaan Chala from Gully Boy, has bagged the best female singer award for her debut Gujarati song called Sharato Lagu.